These are colorful and fun for the kids! 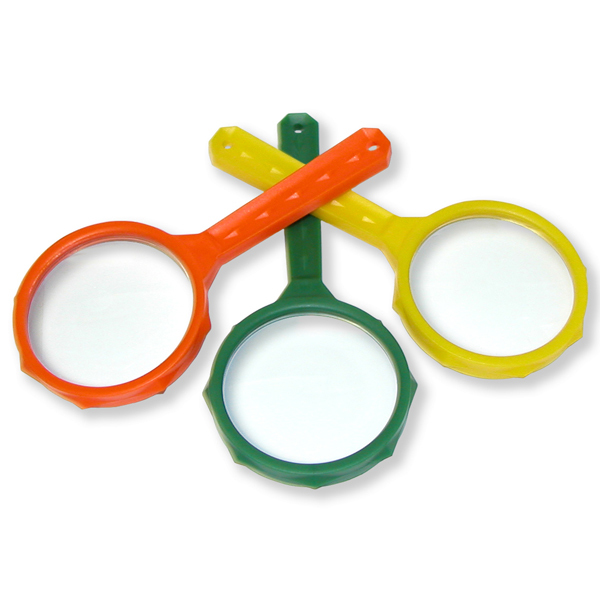 These 3x power, 50mm all glass Magnifiers provide crystal-clear optics and are a great learning tool for children of all ages. They are small enough and lightweight enough to fit in backpacks or even pockets.